I know its been a while since I posted anything about the circuit, mainly its because I've had a lot of other work on and I've also been ill. But, I thought I'd give you a little update on the bits of progress I have made. *A full rebuild of Tetre Rouge (although it's not really noticable) which has widened the track slightly around the apex and made the runoff a lot smoother. *Smoothing the inside camber of the right hander at Indianapolis. 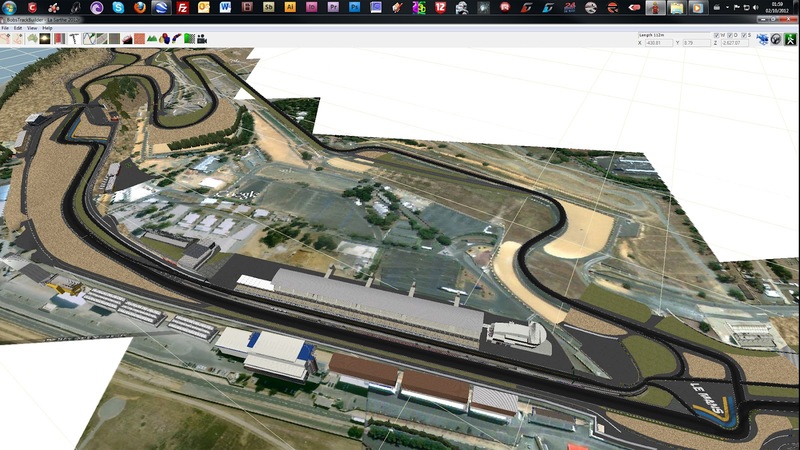 And the main update is my progress with the Bugatti Circuit. I have now finalised the tarmac for the full Bugatti loop and am happy with the initial layout (camber, corners, inclines etc). Thats it for now but, I will continue to add the landscaping to this area as and when I have time.